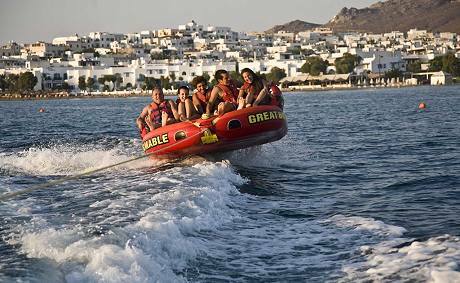 Naxos Island water sport activities at Saint George (Agios Georgios) beach resort. 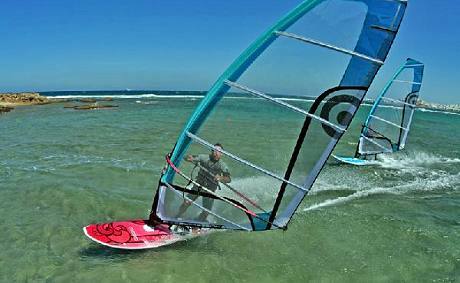 Windsurfing, canoe kayak, pendalo, jet ski, water ski, wakeboard, wakeskate, knee board, banana boat, paddleboard. Naxos Island Greece. It is the surfing paradise for beginners or advanced. 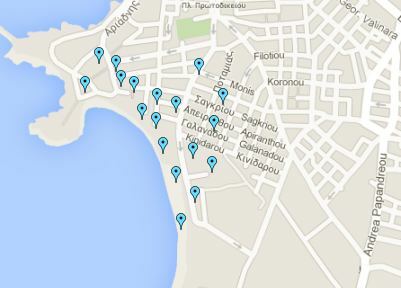 Naxos is situated in the heart of the Aegean Sea and offers an unique combination with waves and shallow waterlagoons.